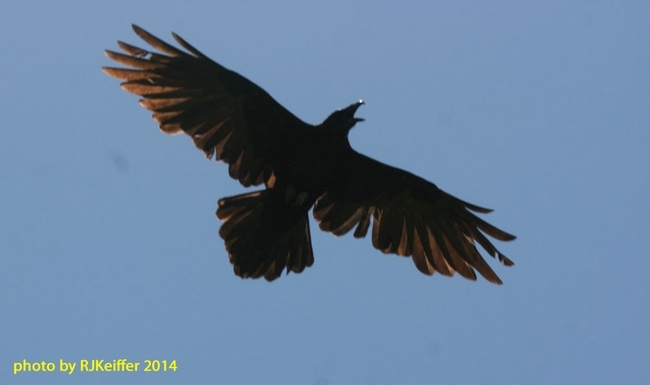 The long-lived and ever-so-wise Common Raven (Corvus corax) has been revered, hated, glorified, and respected by man throughout the Northern Hemisphere for centuries. An extremely adaptable bird, the raven is considered by many as one of the smartest bird species of all. They have, amongst the scientific community, gained a reputation for solving complicated problems invented by ever more challenging scientists. The oldest Common Raven lived to be 17 years and 2 months of age ... quite old enough to have gained a lot of lifetime experiences. Pairs have been known to work collaboratively to distract other species of birds off a nest so that the raven-mate can raid the eggs or young. I have personally witnessed ravens checking out and locating bird nests near my yard ...but they did not raid them until there were nestlings in the nest and there was a need to feed the raven nestlings. ...kind of like window shopping but not buying until you actually need the item. They are known to use their intellect to put together cause and effect ... and I think we all know a few people who do not seem to demonstrate this ability of reason. Edgar Allen Poe wrote the famous poem "The Raven" in 1845. The poem is a narrative in which the main theme is one of undying devotion ... and the narrator experiences a perverse conflict between the desire to forget and the desire to remember. The narrator assumes that the raven ... the raven that is "tapping at my chamber door", only knows one word ... the word "NEVERMORE". So, the narrator always knows the raven's answer to his questions ...but continues to ask them anyway to further incite his feeling of loss. Here in the first photo you see a nest built on top of a barn owl box that is located inside of an old barn at the UC Hopland Research & Extension Center. These adaptable birds many times build their nests on man-made structures such as overpasses, bridges, and high-rise buildings. 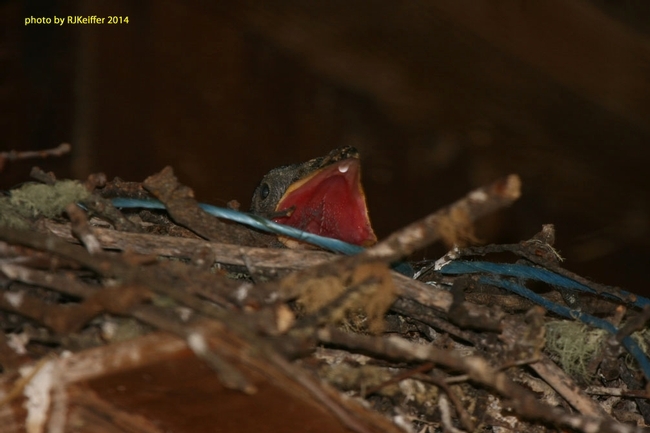 This pair is the only pair that I am aware of that has built a nest inside of an old barn.